Gil Latz, Associate Vice Chancellor for International Affairs at IUPUI and Associate Vice President for International Affairs at IU, has been honored as the inaugural recipient of the Global Citizen Award by Texas Tech University. Latz began his tenure leading IUPUI's Office of International Affairs in 2012, following a 28-year appointment at Portland State University. 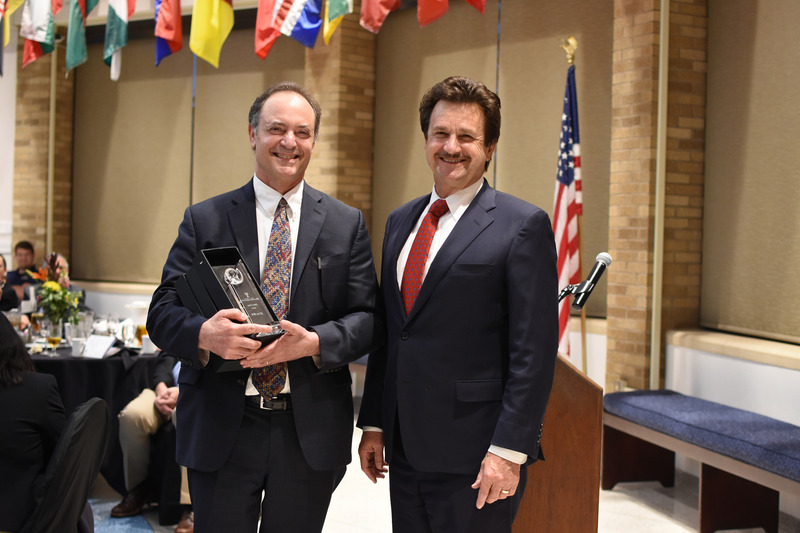 Latz accepted the award at Texas Tech's Global Citizen Awards ceremony on April 20, 2018 in Lubbock, Texas, and delivered the keynote address on the topic, "Making the Case for Internationalization". The Global Vision Awards, begun in 2003, celebrate and recognize honorees who have had a tremendous impact on the internationalization of Texas Tech University's campus, research, and global outreach. "As we thought about Texas Tech University's inaugural Global Citizen Award, we wanted to recognize an individual who has been influential in the internationalization," said Sukant Misra, Vice Provost for International Affairs at Texas Tech University. Dr. Gil Latz has made notable and innovative contributions through his research, his national leadership, and his commitment to strengthening global connections in the twenty-first century, and he is a champion for integrating the international strengths of academia and those of the community."